Dental implants have revolutionized the dental industry and drastically improved oral health and quality of life for patients who choose this option to replace missing teeth. Dental implants are biocompatible replacement teeth that mimic the function and appearance of your natural teeth. Dental implants can replace any number of missing teeth, from single to multiple and even a full arch. These implants can even last you the rest of your life with proper oral care. 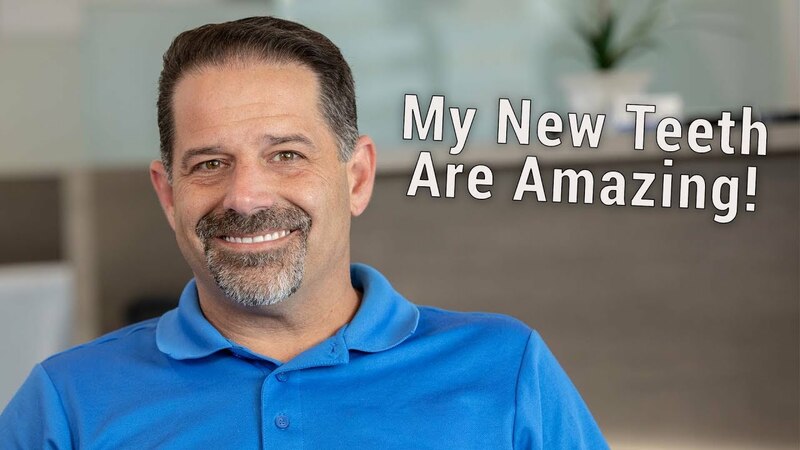 At National Dental, our team of multi specialists offer leading implant care, from placement to restoration, utilizing the most state-of-the-art technology for improved results. 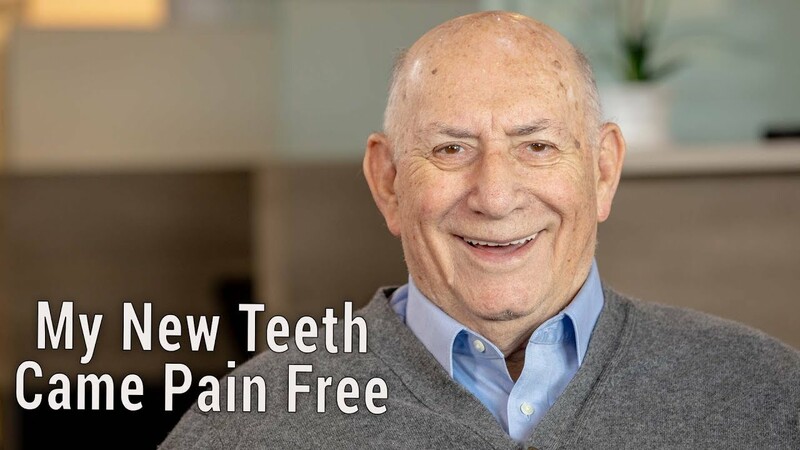 Our patients experience the transformation from a mouth with failing or missing teeth to a beautiful, healthy smile thanks to the life-changing dental implant difference. Dental implants are individually composed of three parts. The implant itself is a biocompatible titanium post that is strategically placed within the jaw bone. This implant post will fuse to your bone to provide a strong and stable hold, mimicking the effects of a natural tooth root. 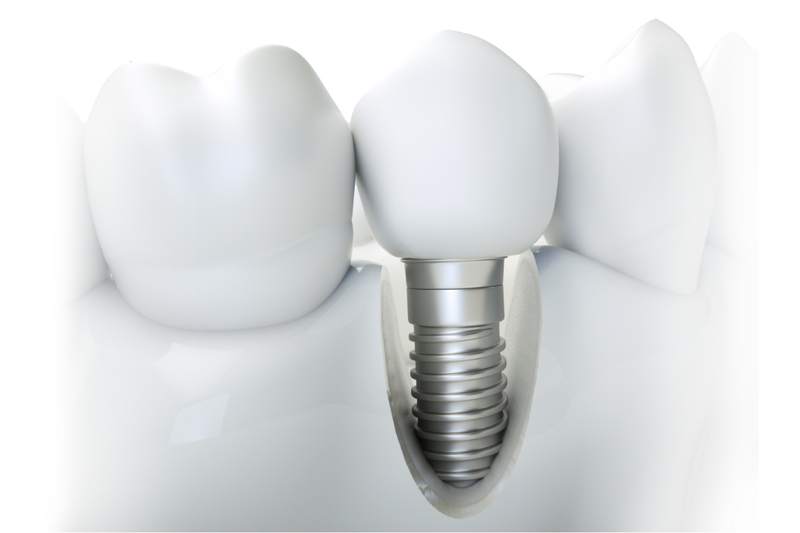 An abutment piece is attached to the dental implant and is used to connect the implant to the tooth restoration, known as a dental crown. A dental crown is a lifelike “cap” that restores the dental implant to a natural look, feel and function. This will allow you to eat and chew foods and it blends seamlessly into your smile. In cases of full arch replacement, a custom denture or bridge is attached to the implants. With our dental implant options, most people will never know you were ever missing a tooth! At National Dental, we ensure that your dental implant procedure is successful by meticulously planning every step and offering technology and services to make the surgery predictable. We have invested in advanced guided implant surgery that utilizes 3D images of your mouth and jaw to construct a detailed computer-generated guide for our doctors to follow. 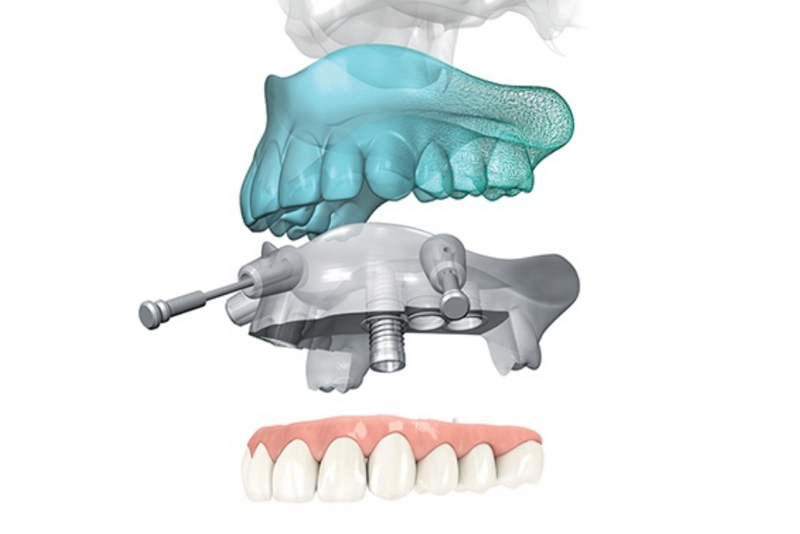 This implant guide directs our doctors into the precise angle, depth and position when placing your dental implant to remove any guesswork involved. For patients who experience dental fear or who have an extensive Done in One™ procedure upcoming, we are trained in IV sedation. Often, patients under the effects of IV sedation wake up after surgery with a beautiful new smile and no memories of the process at all. Missing teeth can severely hurt your self-esteem and negatively impact your quality of life. 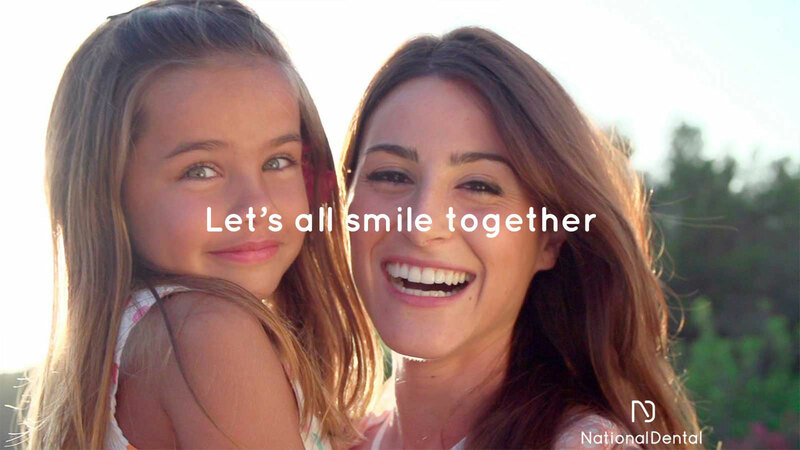 If you are seeking a more permanent solution to replace lost or failing teeth, then contact National Dental today to schedule a free consultation.